He’s rough, he’s tough… and he’s a whole lot of crazy. 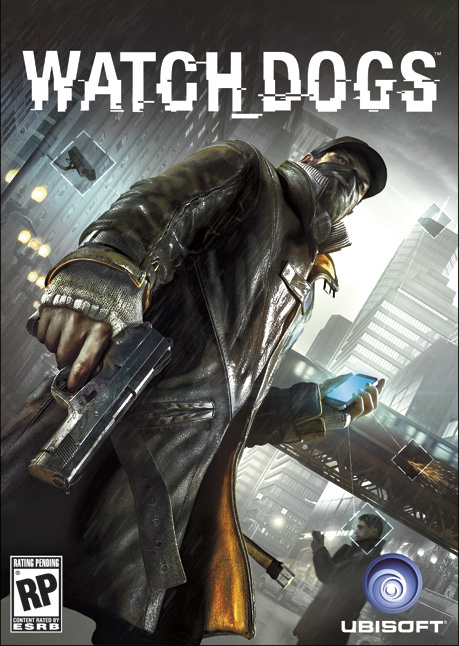 The bearded badass hacker T-Bone makes his triumphant return, this time taking center stage in a new piece of Watch Dogs downloadable content titled Bad Blood. Available September 23 for Season Pass holders and September 30 for all other players, Bad Blood has a full story campaign that includes 10 new missions set throughout the game’s open-world Chicago. Which brings us to what might be the best supporting character in Bad Blood: the remote-controlled Eugene, a mini-car outfitted with a variety of cool gadgets. “Eugene is T-Bone’s kind of pet,” says Content Director Bogdan Bridinel. “Being small, it can easily sneak by enemies and pass through small gaps to reach locations normally inaccessible to T-Bone. It can hack anything that T-bone can, and can be upgraded with cool gadgets like a stun gun or a self-destruction mechanism that creates a big explosion.” Don’t worry if Eugene gets blown sky high; Bridinel reassures us that with the right components, T-Bone can craft the RC car again. Also unique to Bad Blood: armed security cameras. Bridinel describes these as “an inventive defensive device created by literally strapping a remote controlled gun to a security camera.” Playing as T-Bone, you can hack into these armed security cameras just like you would with any camera in the game, then aim the gun and fire on enemies without their having any idea what hit them. As for the story, Petty tells us the team wanted to “lighten up the mood” in the DLC, which also makes the quirky and headstrong T-Bone the perfect leading man for this raucously fun campaign. When we last heard from T-Bone in Watch Dogs, he was preparing to leave Chicago. “When we catch up to him in the DLC, he’s finally ready to do that,” Petty says. “He’s got one last Blume break-in to plant a false trail for the ctOS, before he heads in the opposite direction and retires to a life of open water and endless mojitos.” Those plans are soon jeopardized when Tobias Frewer calls him from a car trunk. T-Bone must then choose between his desire to finally get out of this life – or risk everything for an old friend. While you can probably guess what T-Bone chooses, Petty offers this helpful hint: “You won’t be sipping mojitos in the DLC!” he laughs. Players will assume the role of Aiden Pearce, a new type of vigilante who, with the help of his smartphone, will use his ability to hack into Chicago’s central operating system (ctOS) and control almost every element of the city. Aiden will be able to tap into the city’s omnipresent security cameras, download personal information to locate a target, control systems such as traffic lights or public transportation to stop a chase, and more. The city of Chicago is now the ultimate weapon.